The pig was delicious and made our Independence Day party unique and special. It actually took about 16 or 17 hours to roast. 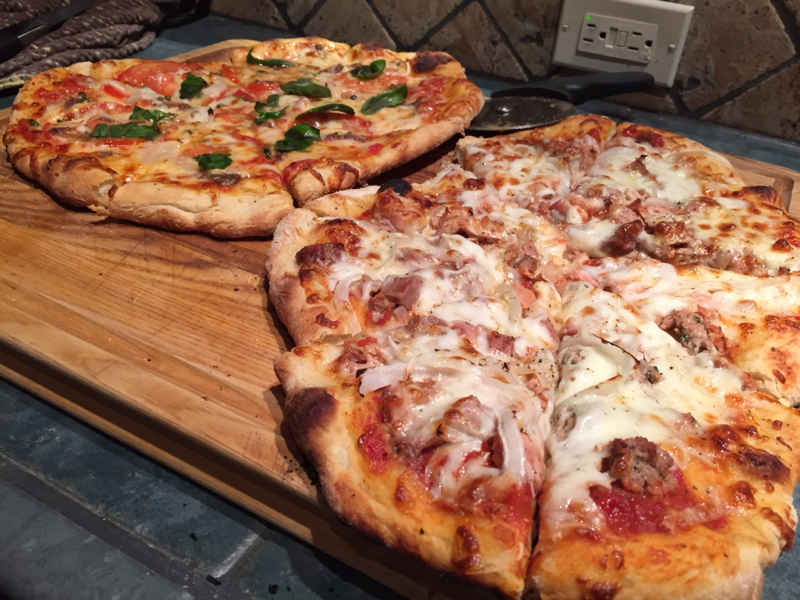 Last night we used some of the leftover meat to grill home made pizza! It was the favorite pizza by far! I will send recipes later if you'd like. I made 2 sauces for the roast pig. A vinegary sauce and a thin and spicy bbq sauce. I didn't season the pig at all before roasting. It was phenomenal!